If your home’s front door is looking drab, worn down, or dated, then it might be time to consider having it replaced. Replacing an outdated entry door can be a great way to not only boost your home’s curb appeal, but it can also increase the overall security of your home. However, when it comes time to choose a replacement door, you may find yourself overwhelmed by the various options you will have to choose from, with wood, fiberglass, and steel being amongst the most common materials used. If you are thinking of replacing your home’s entry door, here are just a few of the reasons you should consider choosing a steel door. If you have an outdated entry door, you may be surprised by how much energy you are losing to the outside due to your door’s poor insulation. Replacing your front door is then a great way to boost your home’s energy efficiency, which can lower your energy bills and keep your home more comfortable year-round. In particular, steel doors are extremely energy efficient as they have a layer of foam insulation inside them that helps to prevent the transfer of cold and hot air. Additionally, unlike wood, steel doors will not warp or rot, which ensures they will maintain their insulative properties over time. Steel entry doors are also amongst the most durable doors on the market, which should not be surprising considering the strength of steel and the many industrial purposes for which it is used. With a steel door, you will not have to worry about your door rotting, cracking, or chipping over time, and no matter where you live you will not have to worry about whether your door will be damaged by rain, wind, snow, heat and other extreme weather. Steel doors are extremely durable and will be able to protect your home for many years to come. 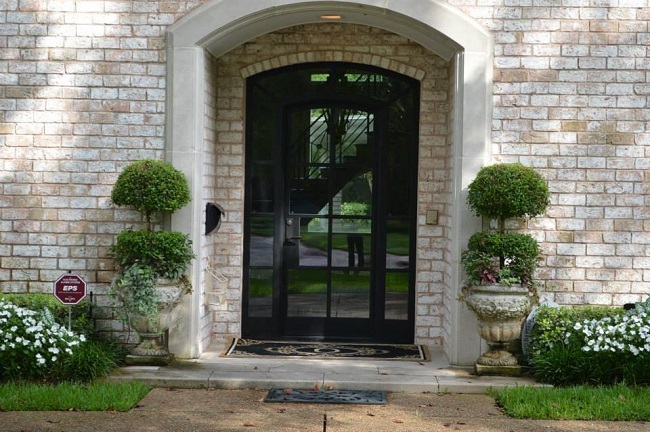 These are just a few of the reasons to consider choosing a steel entry door. Contact us to learn more about steel doors and the benefits they can provide.